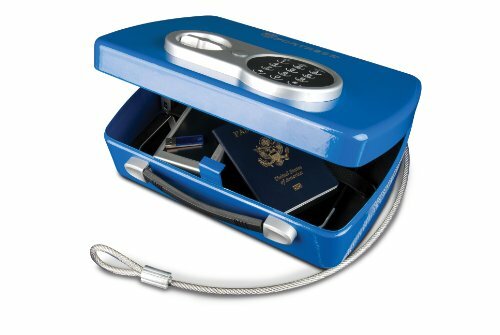 At all times, the primary task of society is to maintain personal safety. 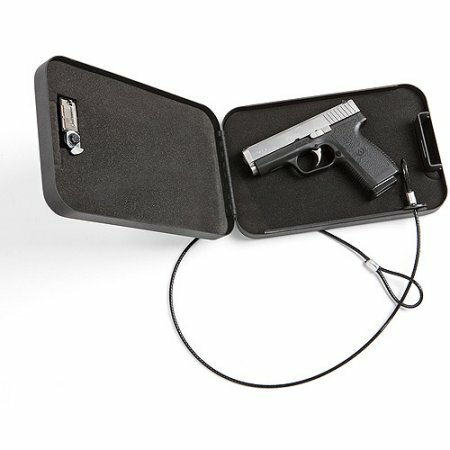 Traumatic or firearms – this is one of the most common ways of self-defense in our time. 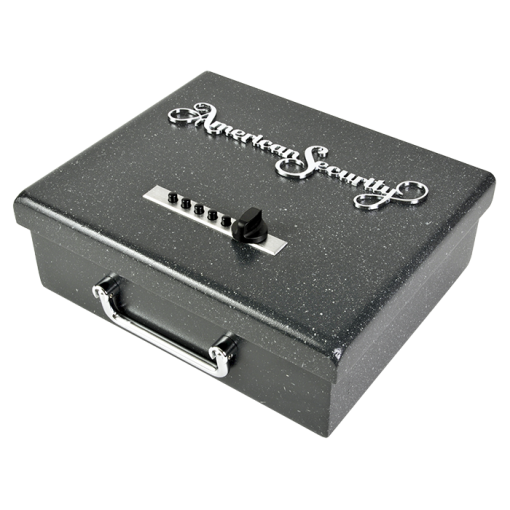 Every day more and more people try to take care of their peace and security, keeping the necessary weapons at their fingertips. 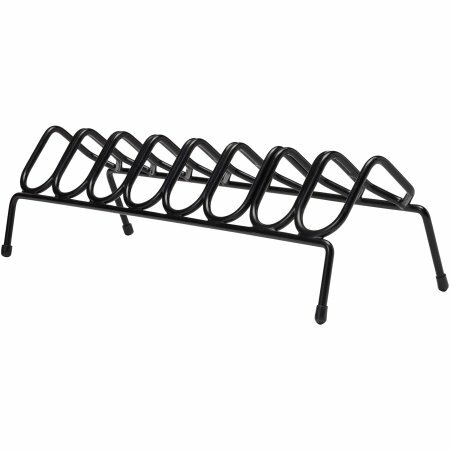 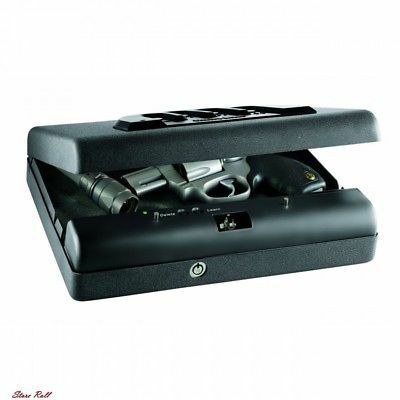 These tools for storing pistols are compact, do not take up much space and are always ready for use. 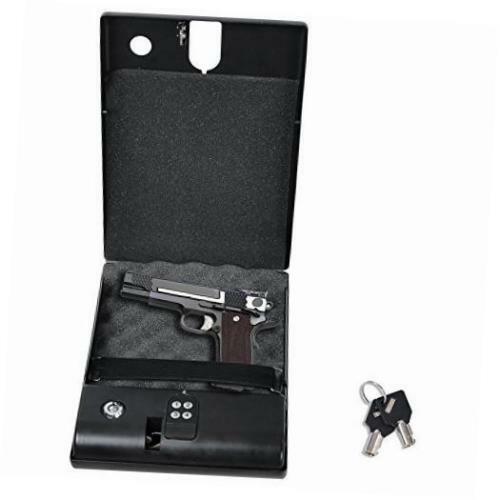 The possessor of the weapon not only receives the right to self-defense but also acquires specific duties. 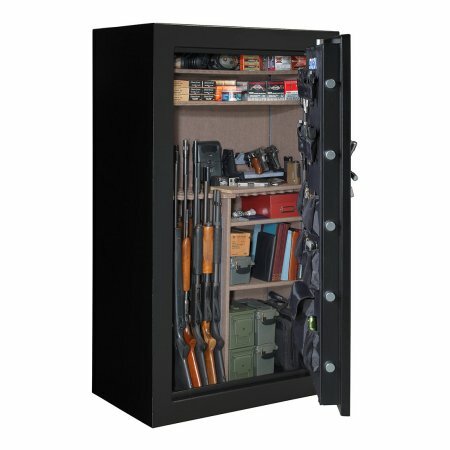 By the law, personal weapons must be stored in a safe place, that is, without access by unauthorized persons. 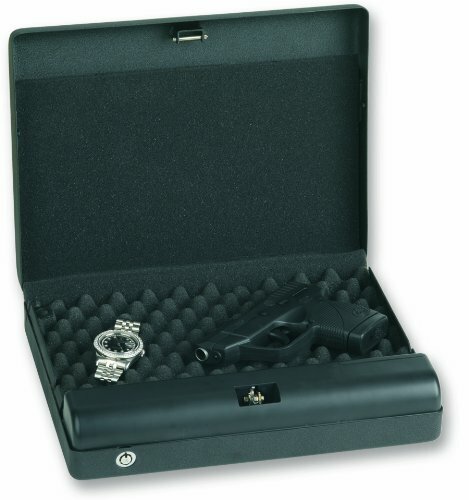 For carrying pistols, a holster is provided, and pistol gun safes for storage. 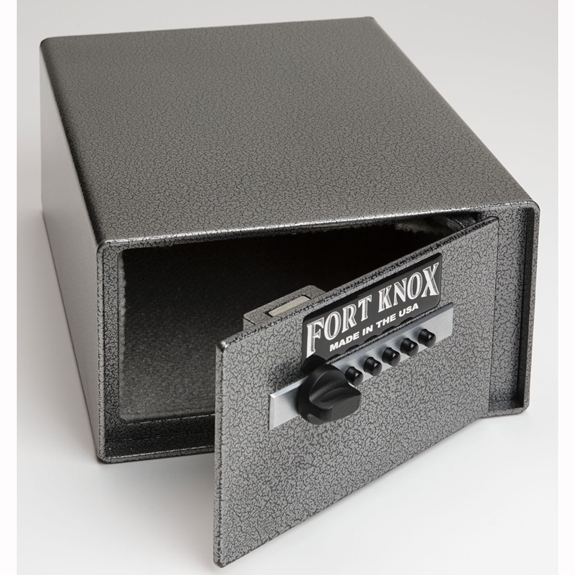 The storage of weapons must be treated with increased responsibility. It is necessary to limit access from children and adults to avoid accidents and situations that can occur when you get your weapon to strangers. 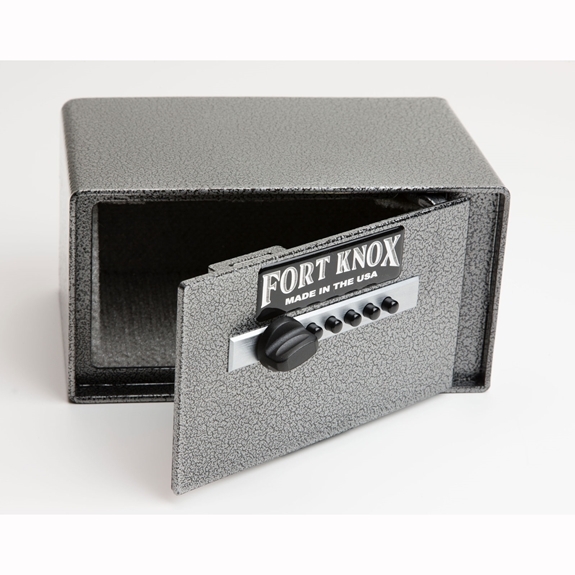 After all, unauthorized access, loss or theft of weapons can be a much more significant problem than the theft of funds. 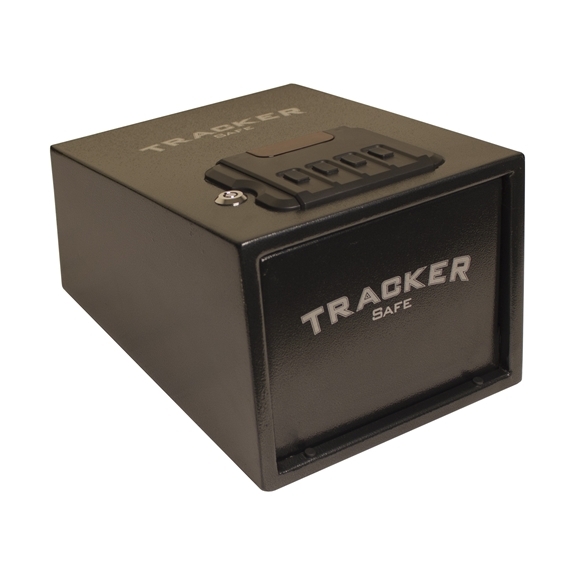 Therefore, the purchase of a safe for the gun will indicate your self-awareness. 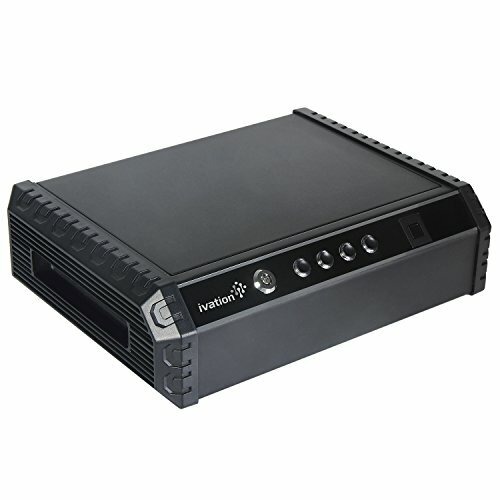 Or firearms and provide protection of content from unauthorized access. 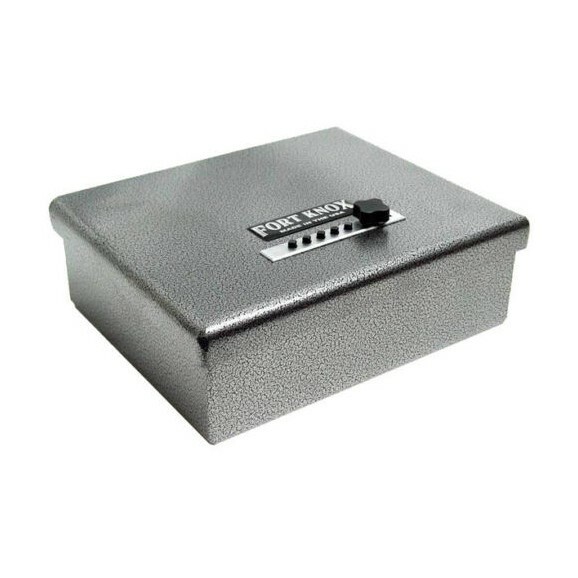 A distinctive feature of the design of the pistol safe in the presence of a welded body with a metal thickness of at least two millimeters. 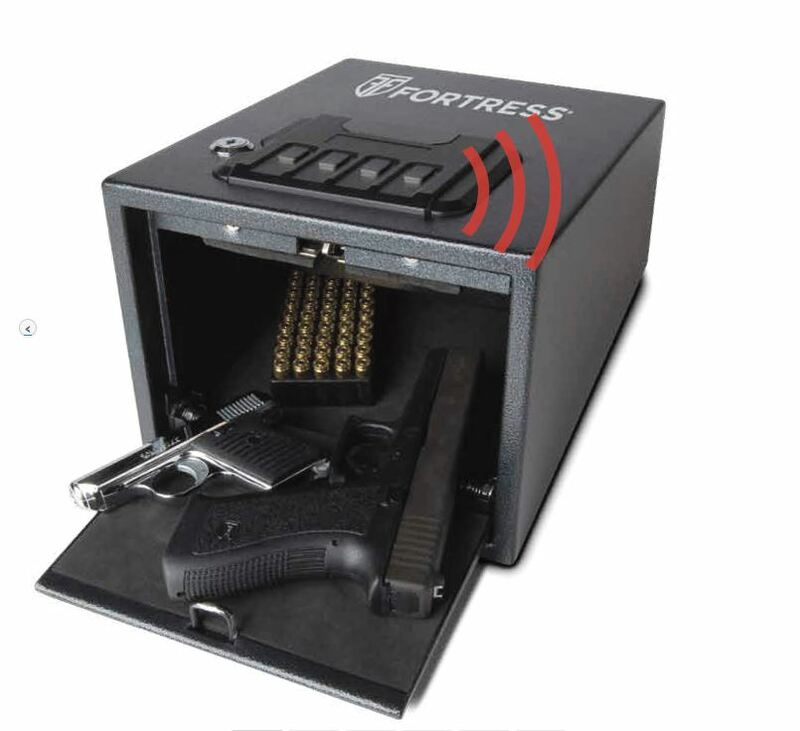 The interior space can be equipped with a shelf or separate lockable storage compartment for ammunition. 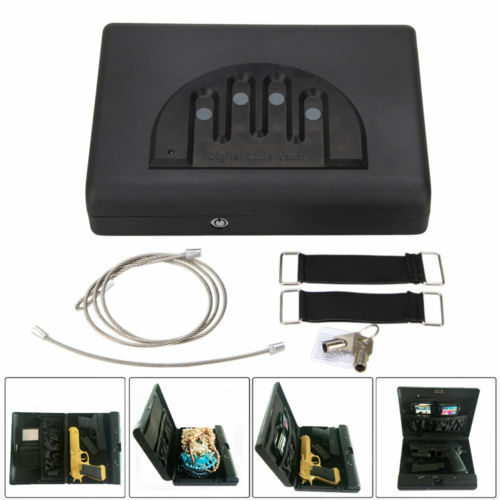 It is also possible to be equipped with special lodgments for pistols. 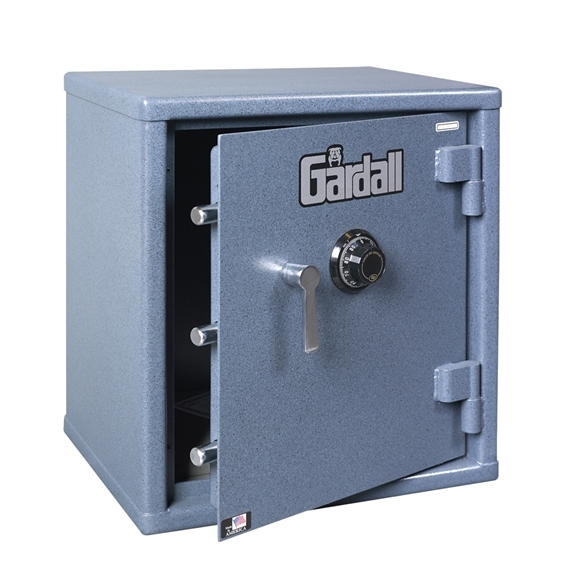 Given the compact dimensions of the safe, the anchorage to the wall or the floor is a must. 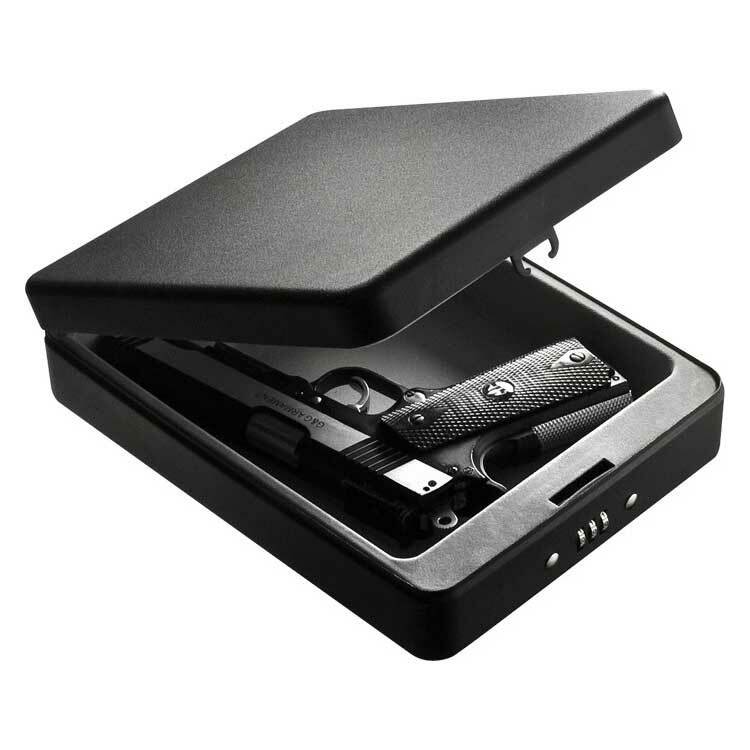 Mounting the pistol safe allows you to mask it with interior items, which increases the level of security and provides quick access to weapons if necessary. 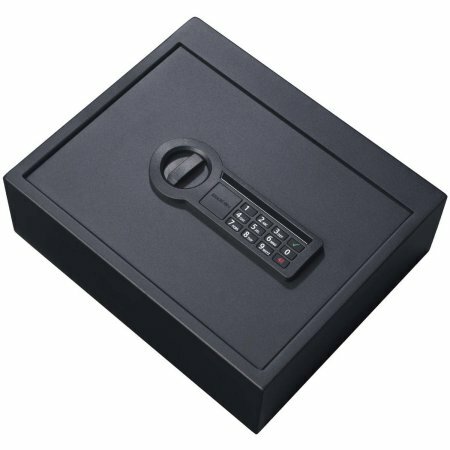 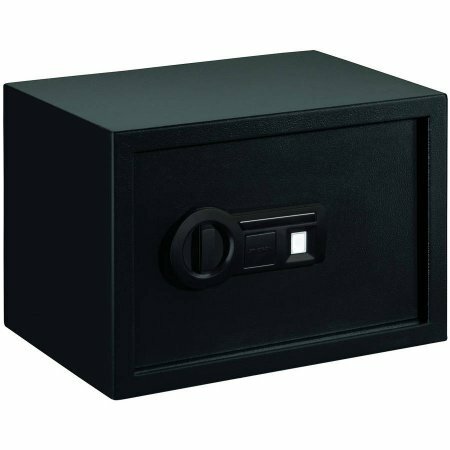 It is possible to use almost any furniture or office version of the safe, the characteristics of which meet the accepted requirements. 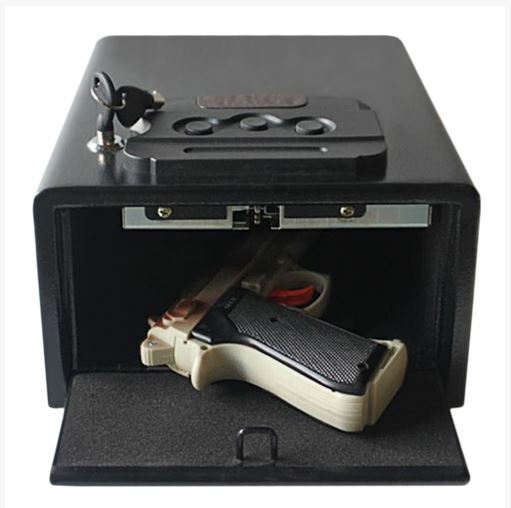 Some models of safes for the gun allow you to simultaneously store not only firearms and related accessories, but personal documentation with other values. 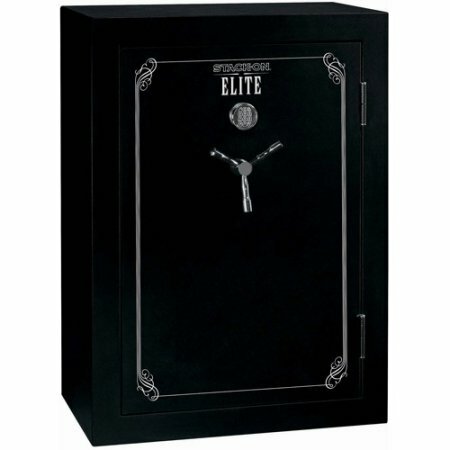 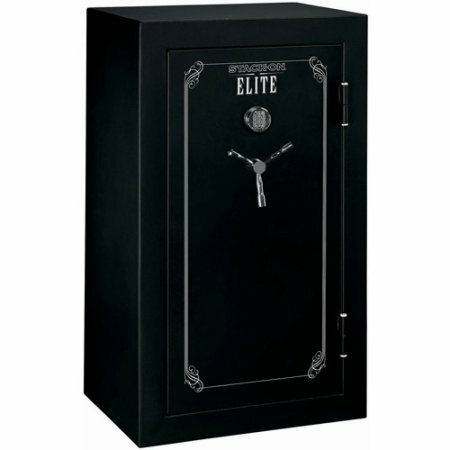 Pistol safes provide convenience and proper handling of weapons. 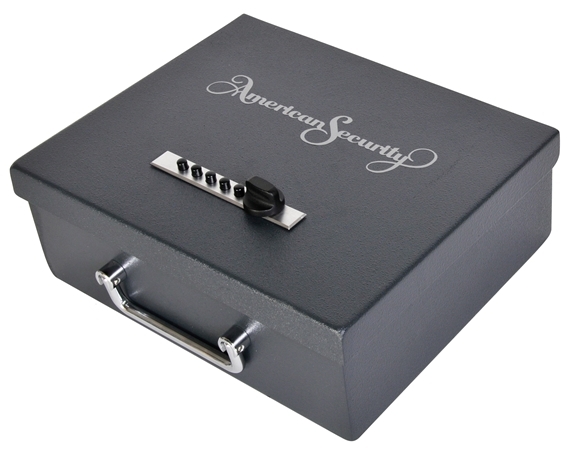 After all, it serves as a method of self-defense, and not a risk factor and a danger to you and your loved ones. 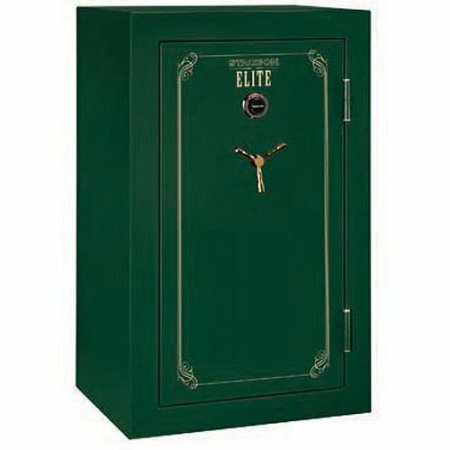 Our online service provides a wide selection of pistol safes with different types of locks and other all kinds of characteristics. 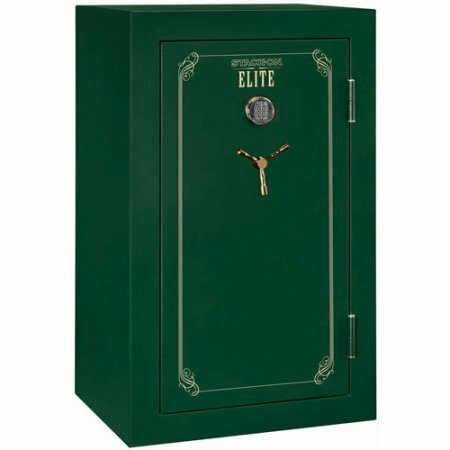 A team of professional managers will be happy to help you choose the right safe, which will perfectly match any of your preferences. 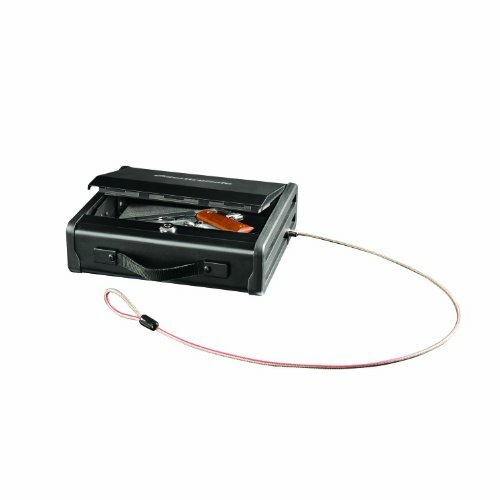 QUICK ACCESS to your handgun or valuables from the automatic opening door. 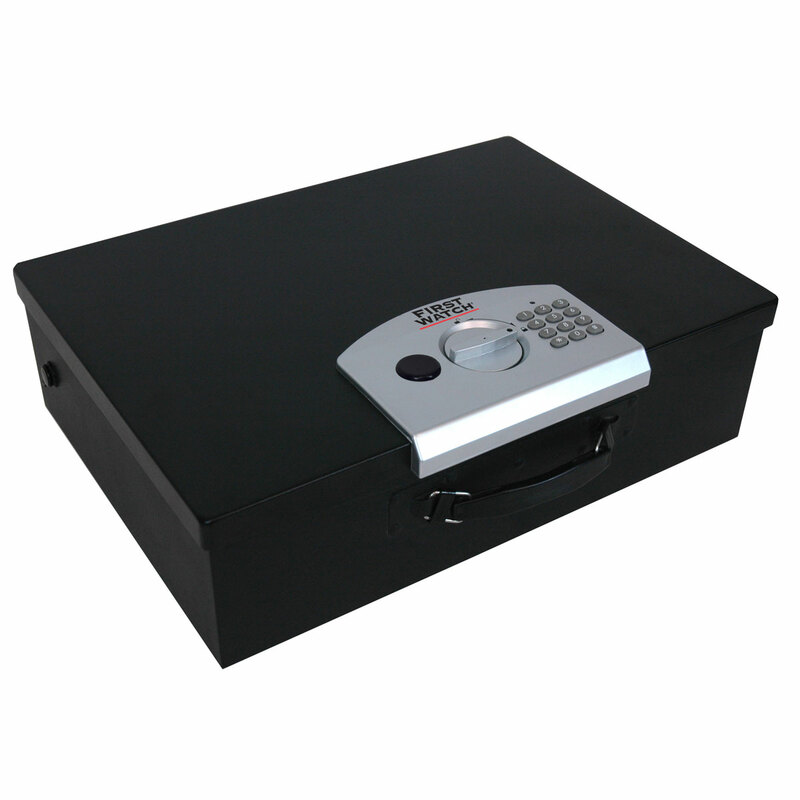 Get in quick when it matters most using the rapid backlit keypad or fingerprint scanner. 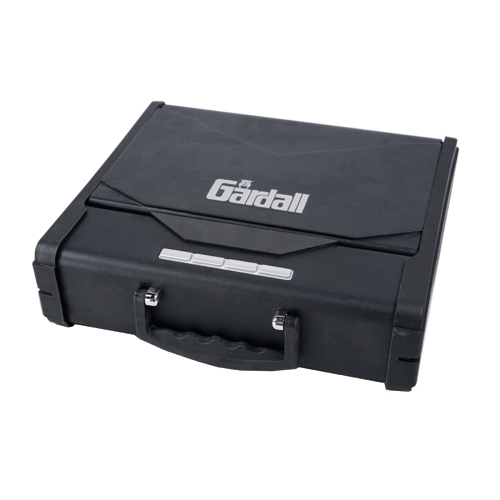 TOUGH AND RUGGED heavy-duty steel construction with a durable finishes preventing corrosion and ensures long lasting protection of your belongings for years. 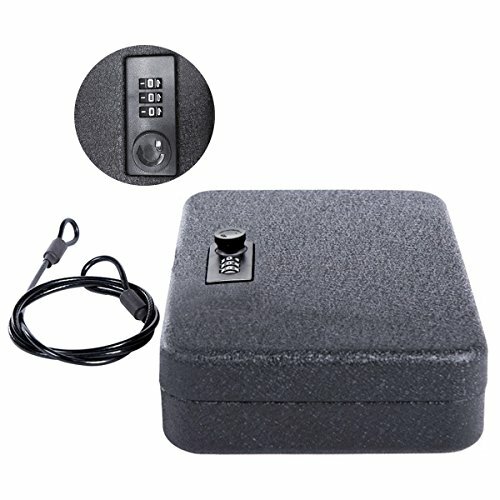 SOUND ON/OFF by pressing and holding the first button from the left for 4 seconds. 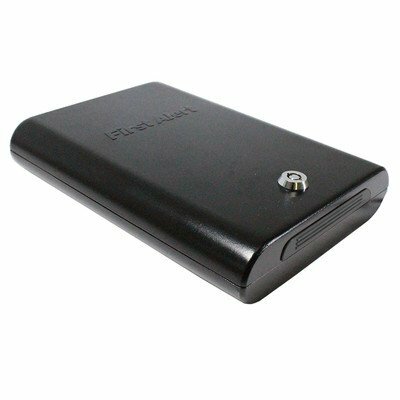 LOW BATTERY WARNING when the blue and green light both flash. 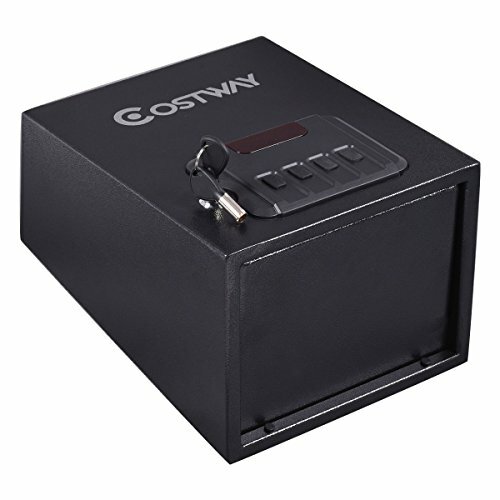 【Solid Construction】This pistol cabinet is constructed with 3mm high density steel plates, which are solid enough to protect the items in the box. 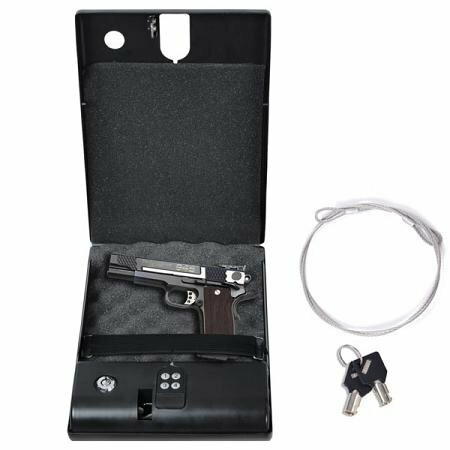 【Reliable Locking Mechanism】the tamper and motion sensitive alert system and precise fittings that are virtually impossible to pry open with hand tools, ideal to safeguard your standard sized pistol, ammunition and other valuables. 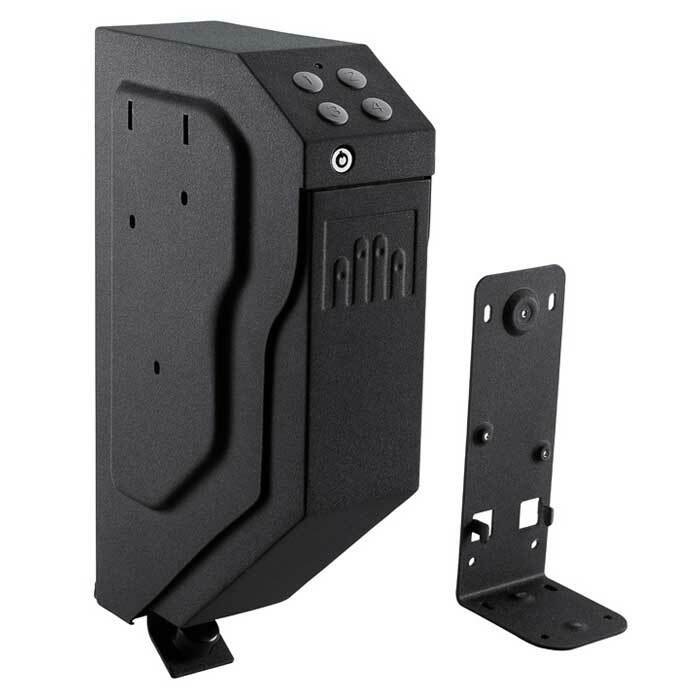 【Rapid Pop-open Door】This pistol cabinet allows for quick access in case of emergency; Type in your preprogrammed code & door swings right open for immediate access. 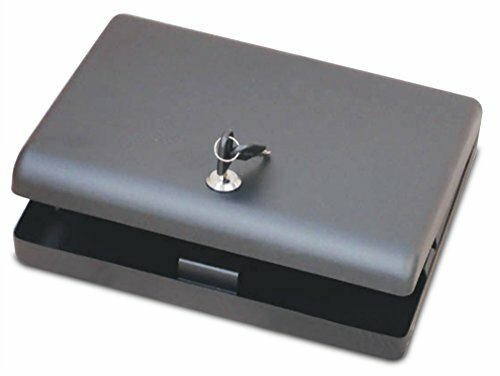 Car Pistol safe Large heavy-gauge steel construction 11"X8.34"X2.28" KID-FRIENDLY Rounded edges makes it safe for kids. 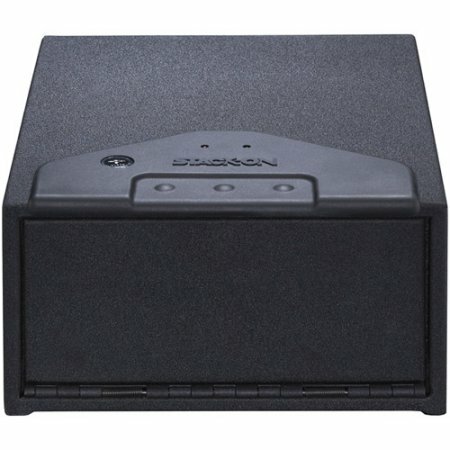 Mounts almost anywhere. 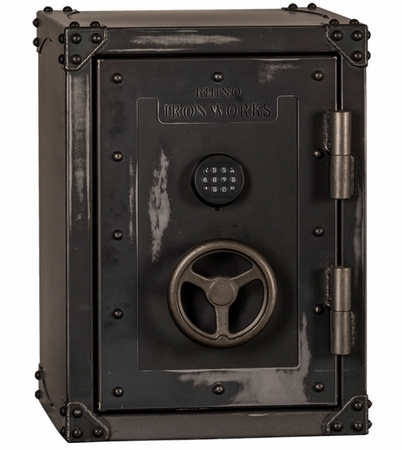 Two pre-drilled holes on bottom of vault. 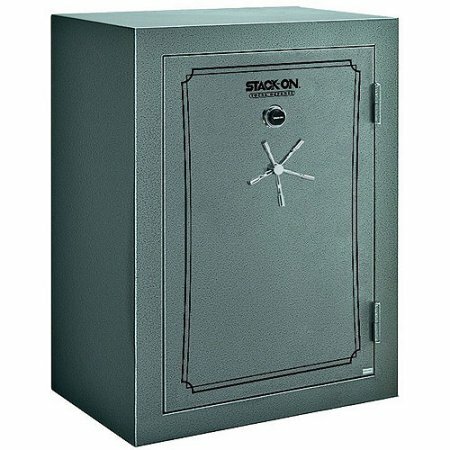 The Stack-On Fire and Waterproof Gun Safe holds 22 firearms, or can be converted to hold 11 plus storage, or all storage. 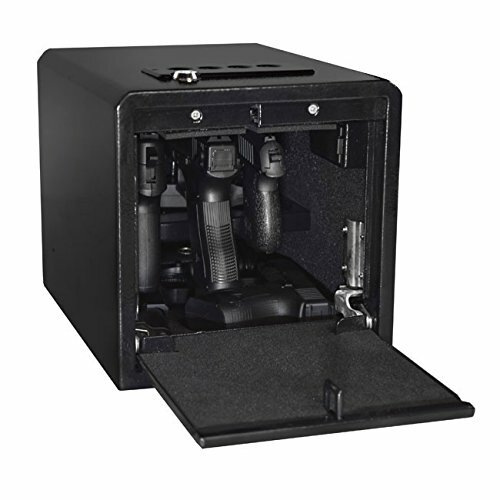 Door storage system includes removable, zippered bags that let you pack and store your gear in less time as well as a large document pocket and removable holsters for pistol storage, providing flexible storage. 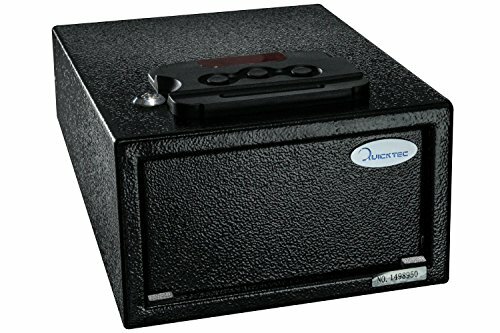 This gun safe with electronic lock is approved by the California Department of Justice as meeting their standards for firearm safety. 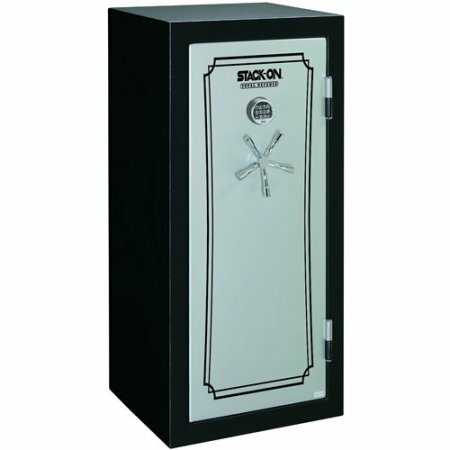 The Stack-On Fire and Waterproof Gun Safe holds 22 firearms or it can be converted to hold 11 plus stock or all storage. 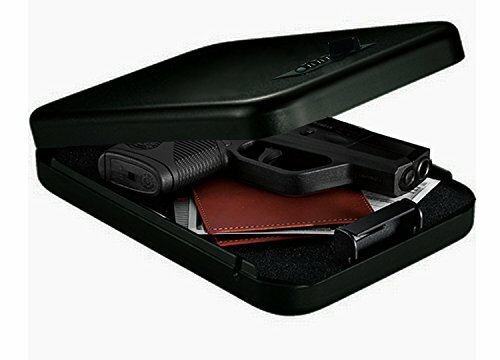 Door storage system includes removable, zippered bags that let you pack and store your gear in less time as well as a large document pocket and removable holsters for pistol storage, providing flexible storage. This Stack-On Total Defense 22-gun safe in gray pebble is approved by the California Department of Justice as meeting their standards for firearm safety. 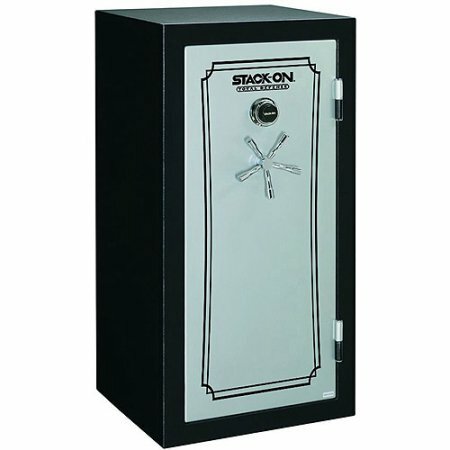 The Stack-On Fire and Waterproof Gun Safe holds 22 firearms, or can be converted to hold 11 plus storage, or all storage. 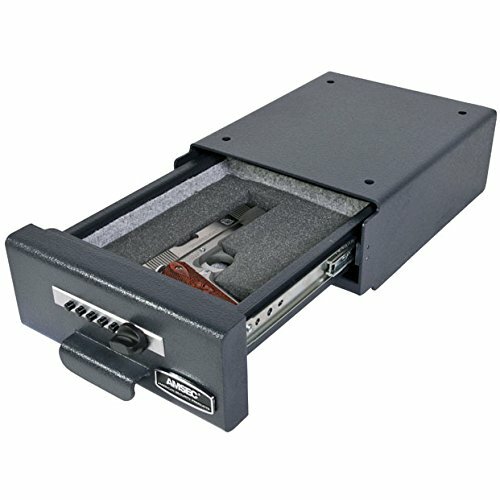 Door storage system includes removable, zippered bags that let you pack and store your gear in less time as well as a large document pocket and removable holsters for pistol storage, providing flexible storage. 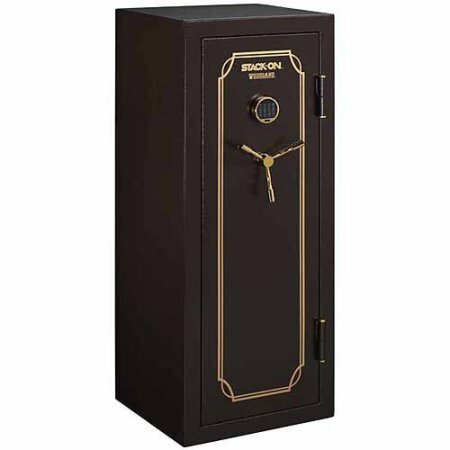 This gun safe with combination lock is approved by the California Department of Justice as meeting their standards for firearm safety. 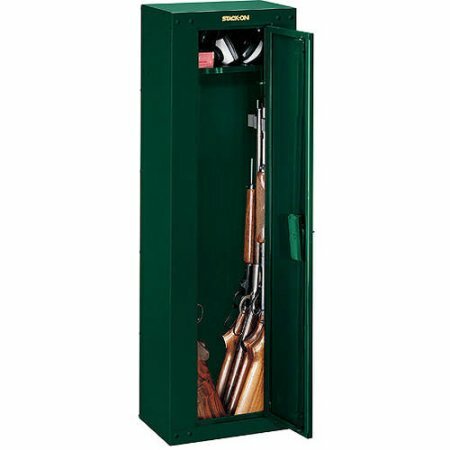 Stack-On 28-Gun Fire and Waterproof Safe with Combination Lock and Door Storage holds 22 guns, or can be converted to hold 14 guns plus storage, or all storage. 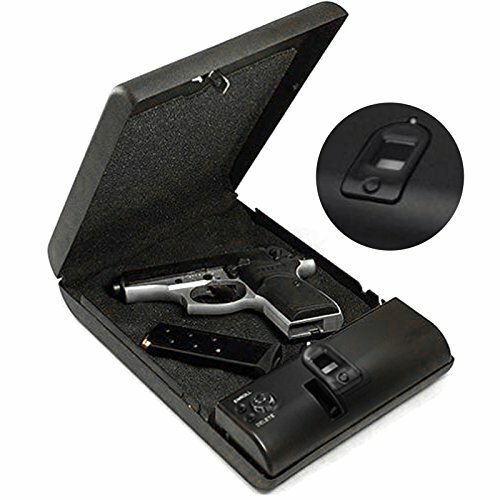 Door storage system includes removable, zippered bags that let you pack and store your gear in less time as well as a large document pocket and removable holsters for pistol storage, providing flexible storage. 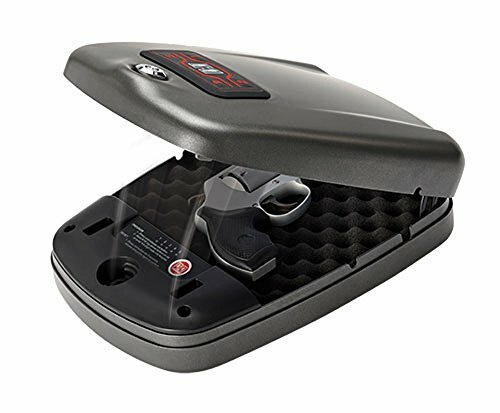 Approved by the California Department of Justice as meeting their standards for firearm safety. 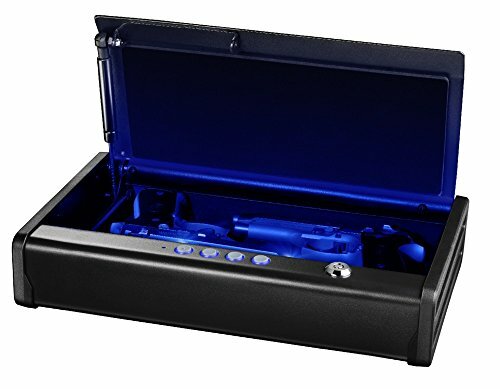 Stack-On Total Defense 28-Gun Safe with Electronic Backlit Lock and Door Storage holds 28 guns, or can be converted to hold 11 guns plus storage, or all storage. 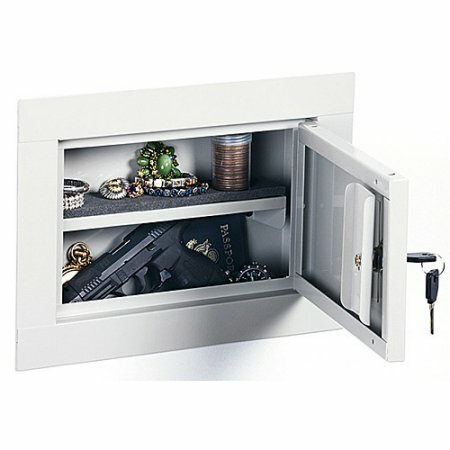 Door storage system includes removable, zippered bags that let you pack and store your gear in less time as well as a large document pocket and removable holsters for pistol storage, providing flexible storage. 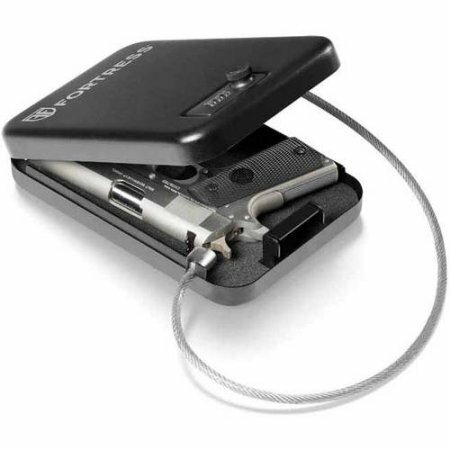 Approved by the California Department of Justice as meeting their standards for firearm safety. 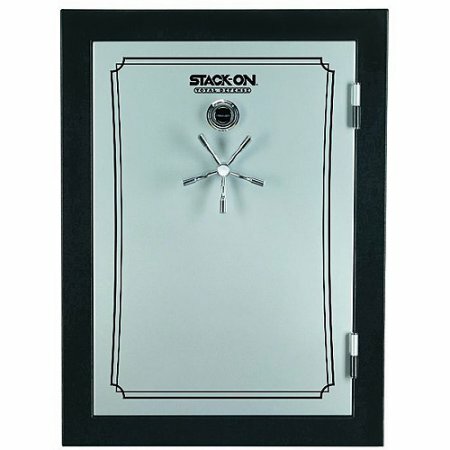 The Matte Black and Silver Stack-On Total Defense 28-Gun Safe can be converted to hold 11 firearms plus storage or all storage. 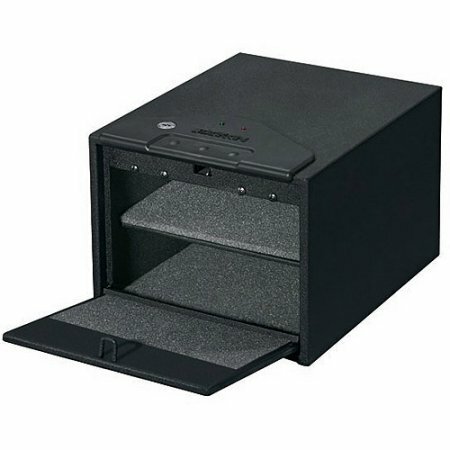 Door storage system includes removable, zippered bags that let you pack and store your gear in less time, as well as a large document pocket and removable holsters for pistol storage, providing flexible storage. 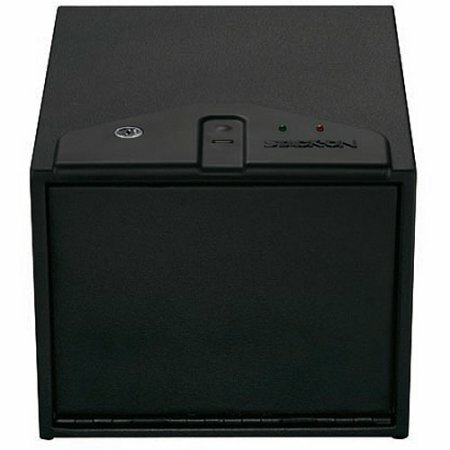 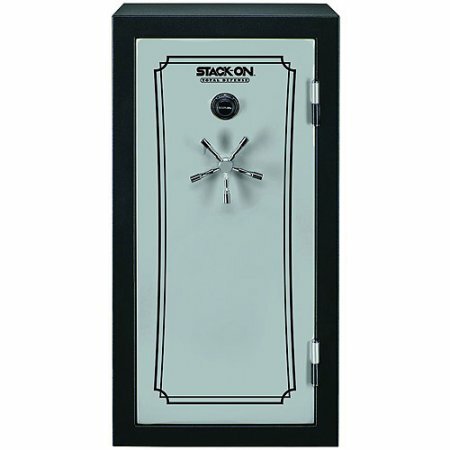 This Stack-On gun safe with electronic lock is approved by the California Department of Justice as meeting their standards for firearm safety. 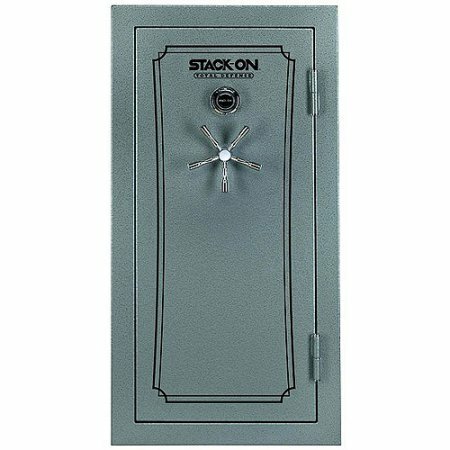 Stack-On Total Defense 28-Gun Safe holds 28 guns, or can be converted to hold 14 guns plus storage, or all storage. 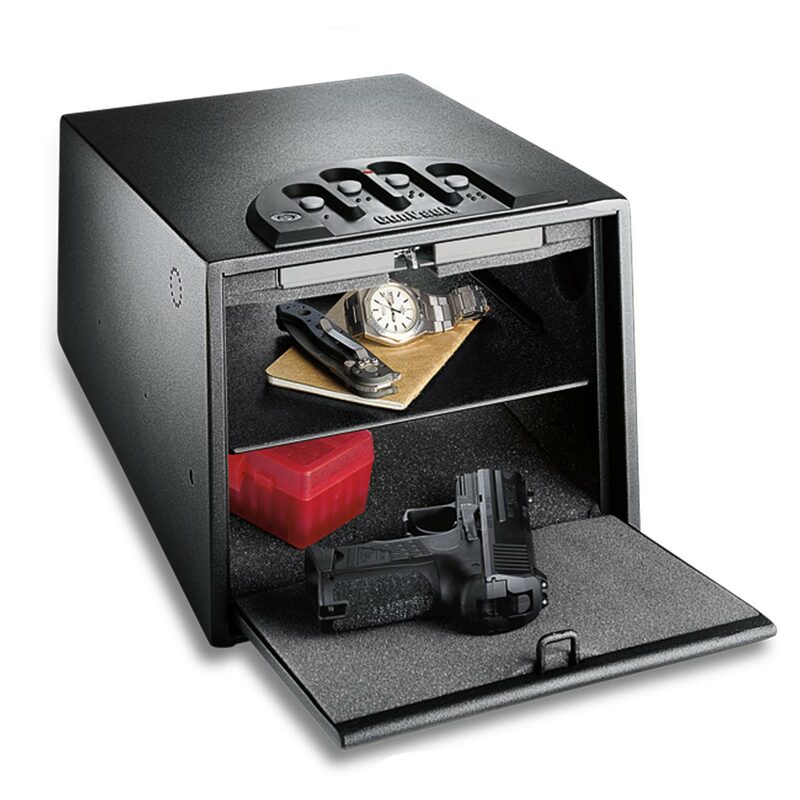 Door storage system includes removable, zippered bags that let you pack and store your gear in less time as well as a large document pocket and removable holsters for pistol storage, providing flexible storage. 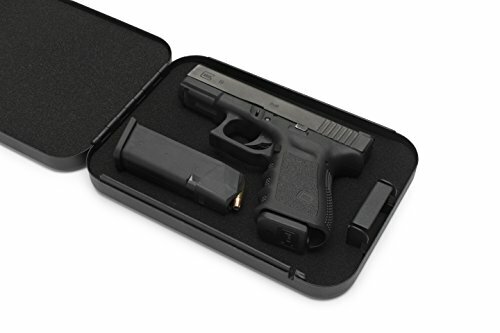 Approved by the California Department of Justice as meeting their standards for firearm safety. 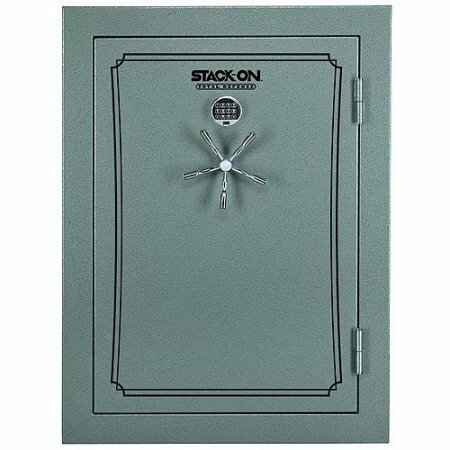 The Stack-On Total Defense 36-Gun Safe can be converted to keep 18 firearms plus storage or all storage. 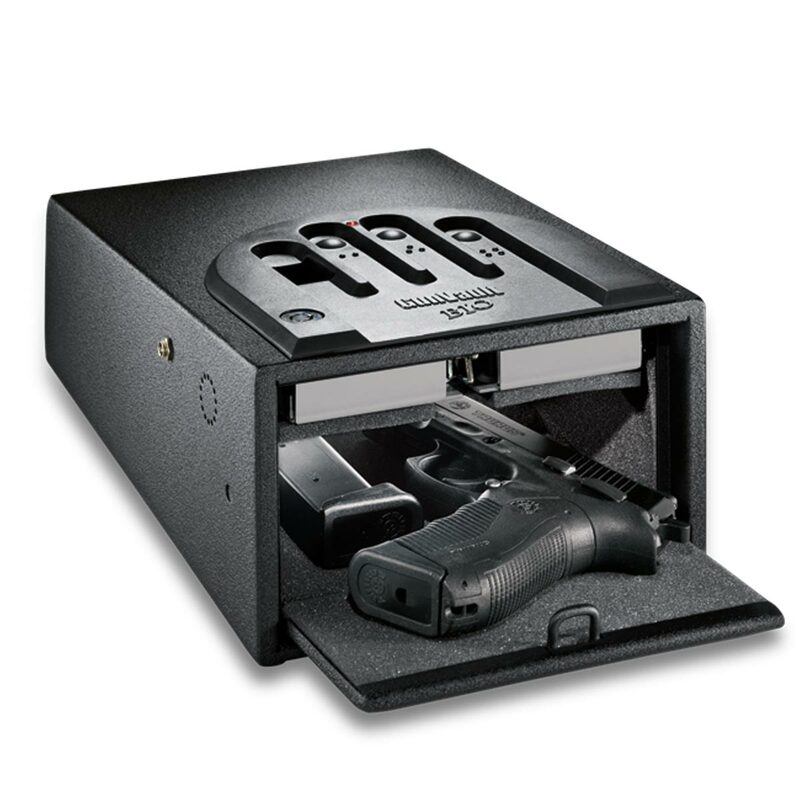 Door storage system includes removable, zippered bags that let you pack and store your gear in less time as well as a large document pocket and removable holsters for pistol storage, providing flexible storage. 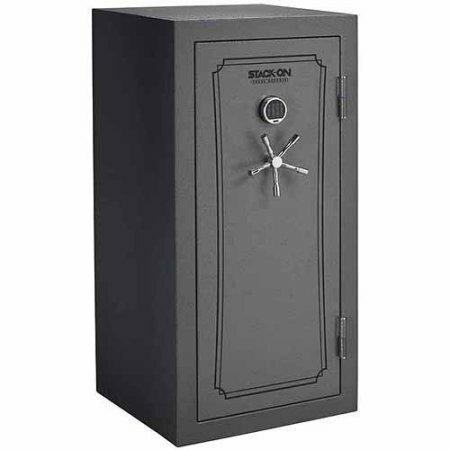 This Gray Pebble Stack-On gun safe with combination lock is approved by the California Department of Justice as meeting their standards for firearm safety. 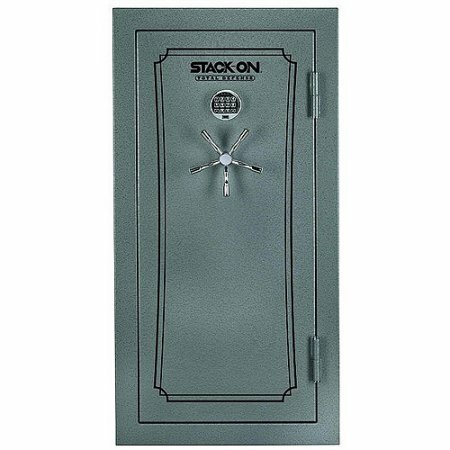 Stack-On 54-Gun Fire and Waterproof Safe with Combination Lock and Door Storage holds 54 guns, or can be converted to hold 36 guns plus storage or 18 guns plus storage, or just all storage. 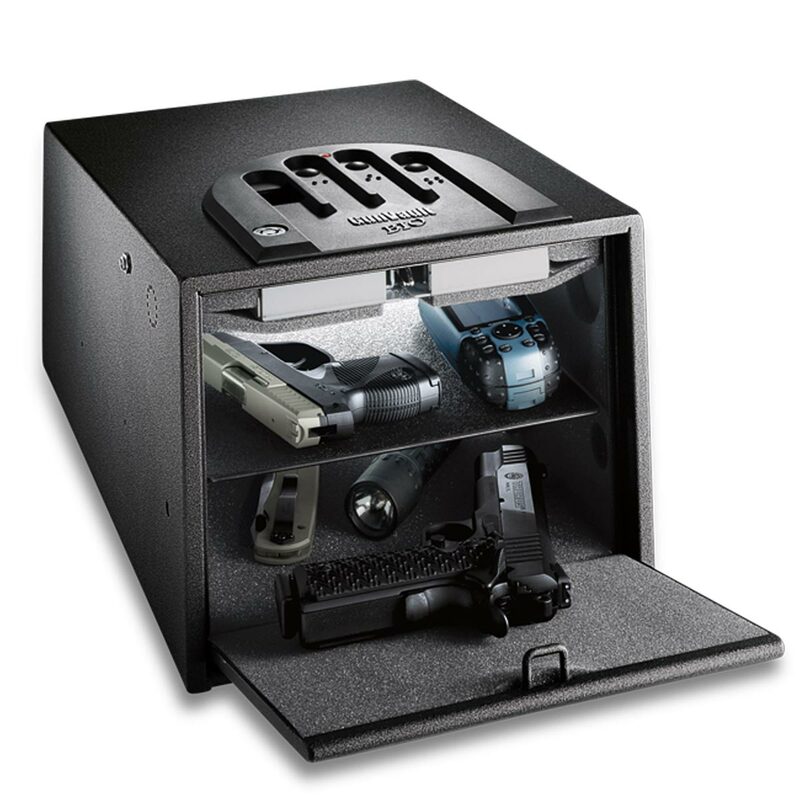 Door storage system includes removable, zippered bags that let you pack and store your gear in less time as well as a large document pocket and removable holsters for pistol storage, providing flexible storage. 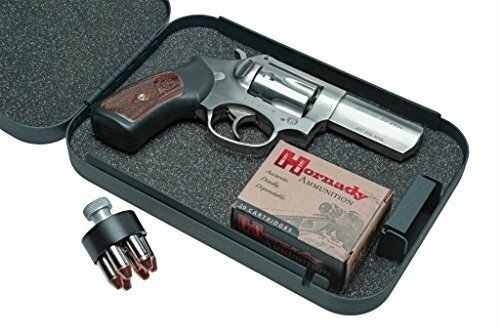 Approved by the California Department of Justice as meeting their standards for firearm safety. 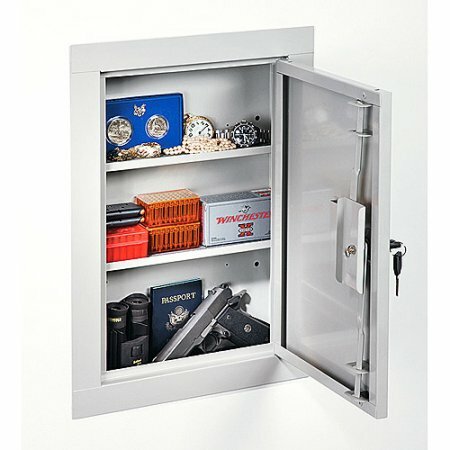 This in-wall security cabinet allows you to store valuables and firearms without taking up valuable floor space. 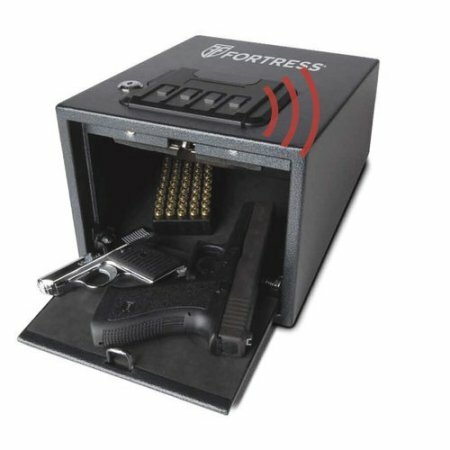 The cabinet has been tested by a certified California Department of Justice laboratory and is rated as an approved Firearm Safety Container. This is a security cabinet; it is not fire rated. 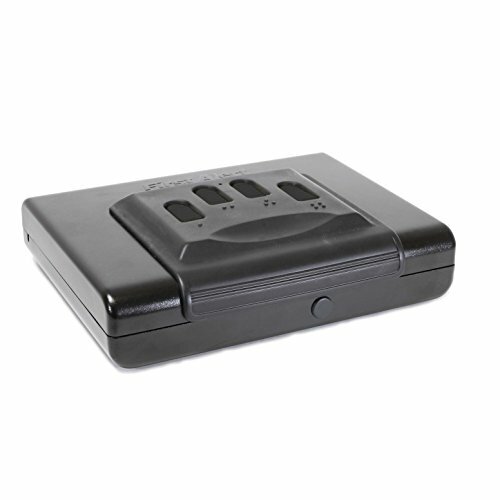 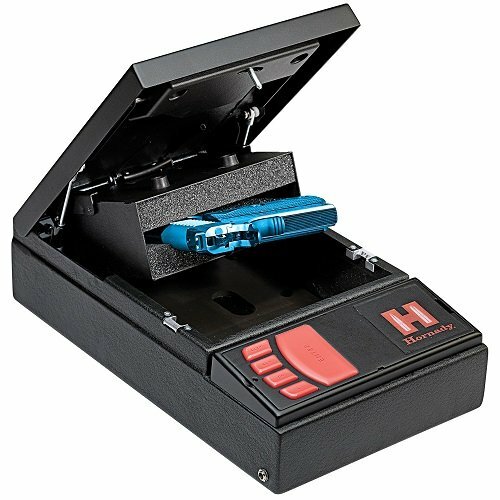 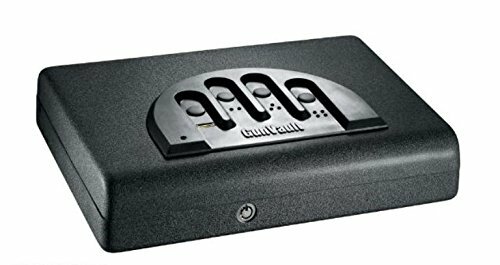 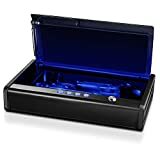 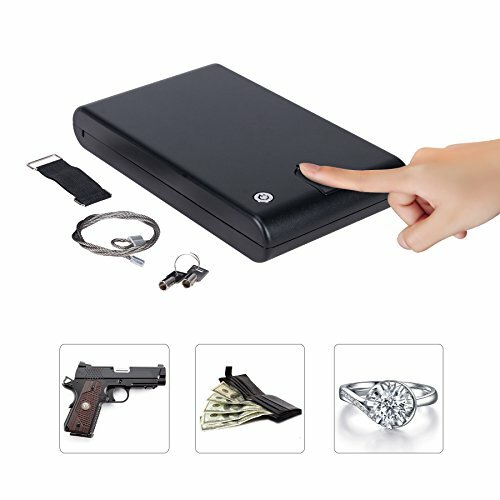 DIGITAL HANDGUN SAFE: Personal lockbox safely stores two pistols and other valuables including ammunition, cash, coins, passport, and jewelry. 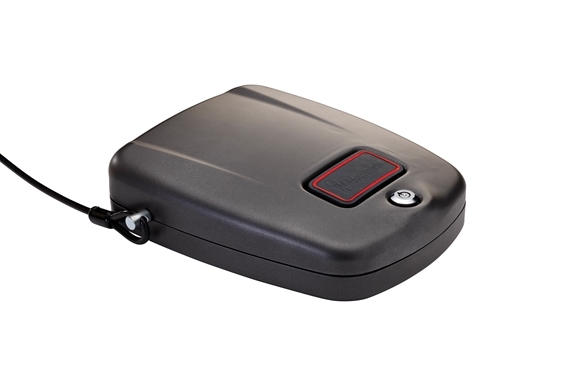 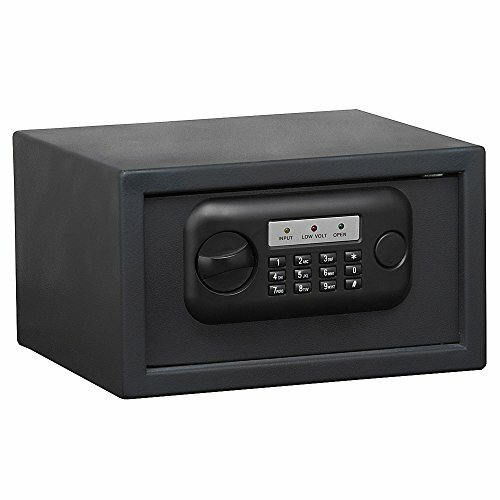 ELECTRONIC PIN ENTRY: Security keypad provides fast entry with 4-digit programmable code or manual tubular key ; integrated backup auto memory. 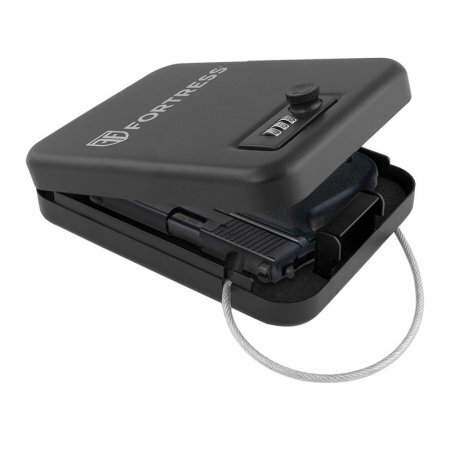 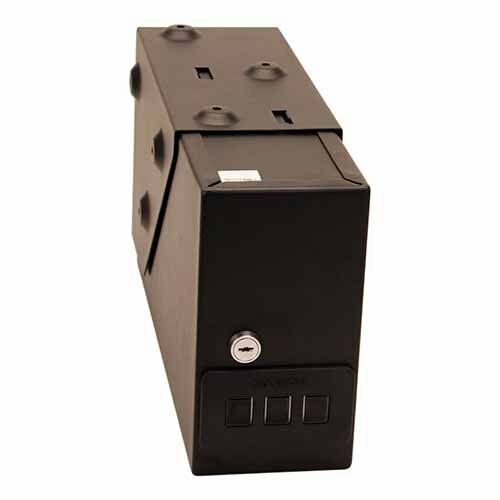 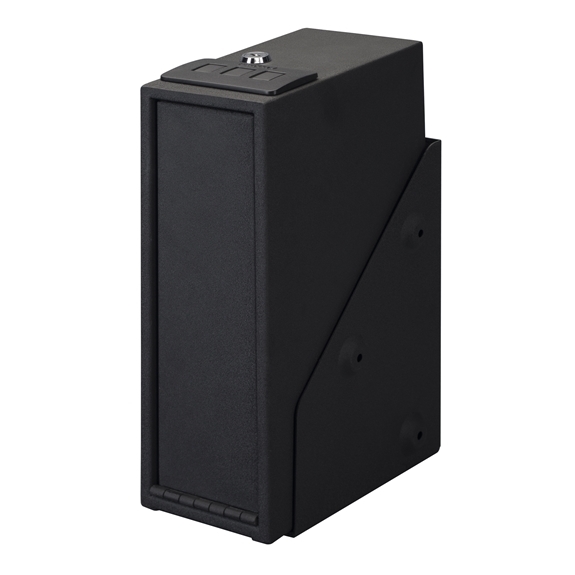 SINGLE HANDED ACCESS: Convenient pop-open cover with compression latch provides powerful security and quick, quiet performance in break-in emergency. 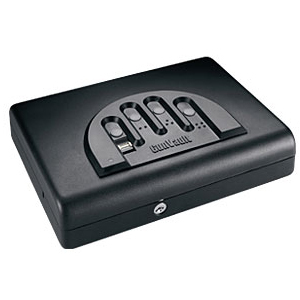 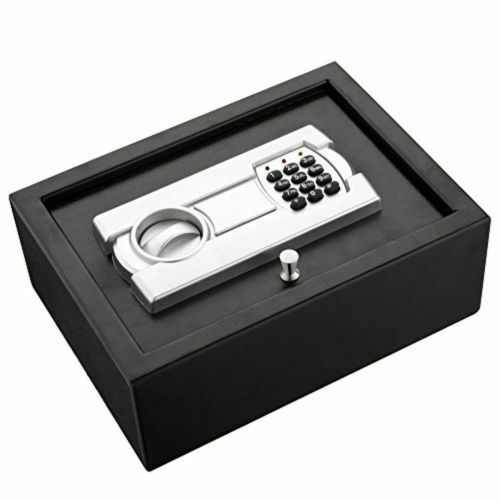 The Fingerprint Vault is a very sophisticated and highly engineered piece of electronic equipment. 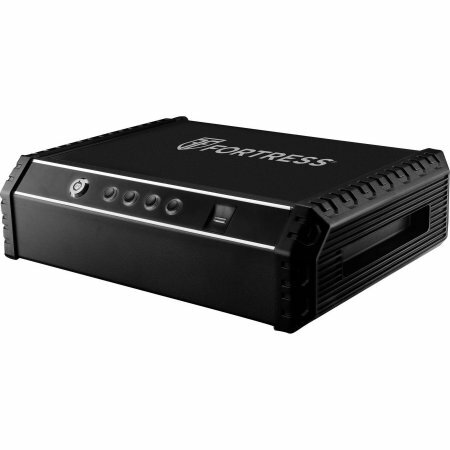 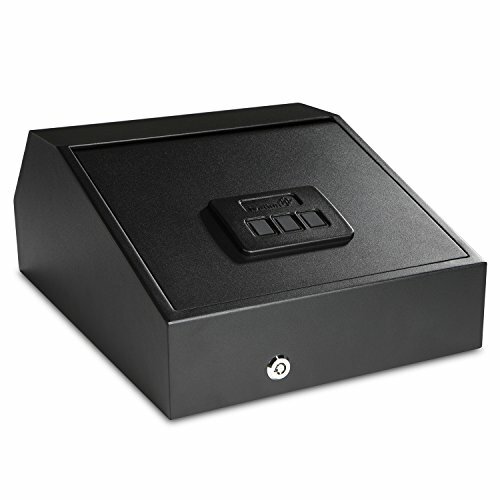 It has been designed to grant an extremely high level of accuracy in the fingerprint authentication process as well as a high degree of reliability and dependability. 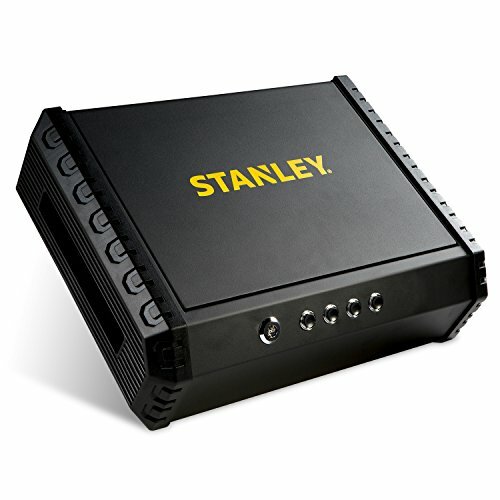 The software has been rigorously tested. 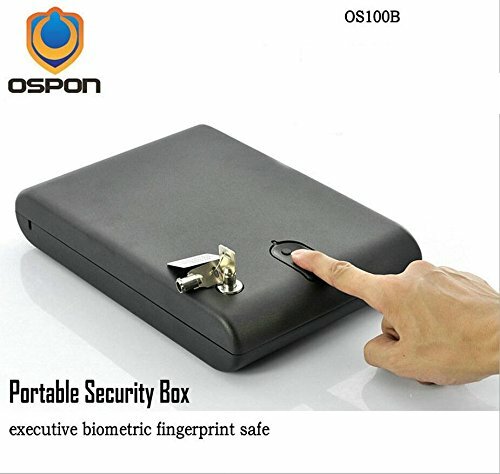 Biometric security devices are gaining momentum worldwide for their speed and accuracy. 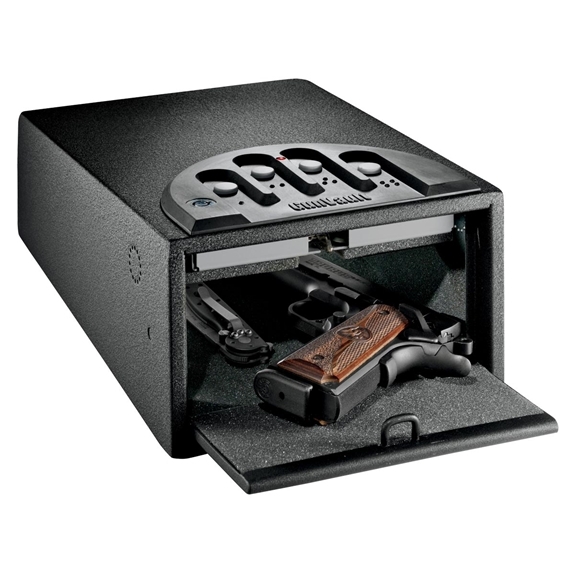 Our gun safe has a rapid-read fingerprint sensor which unlocks your safe in two seconds providing convenience and saving precious seconds in emergency. 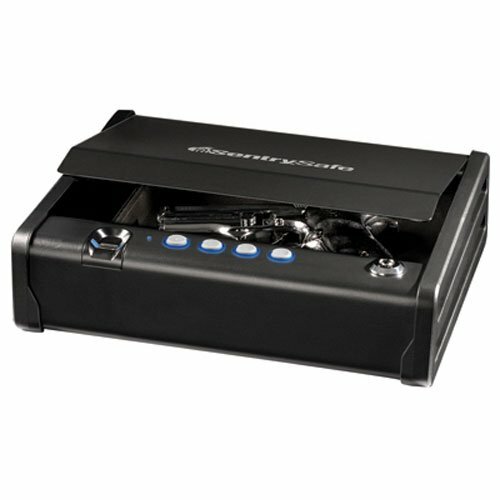 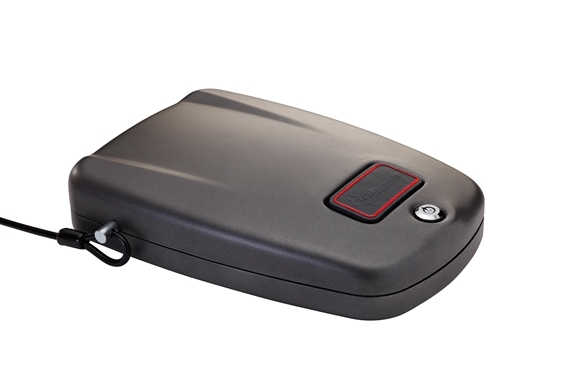 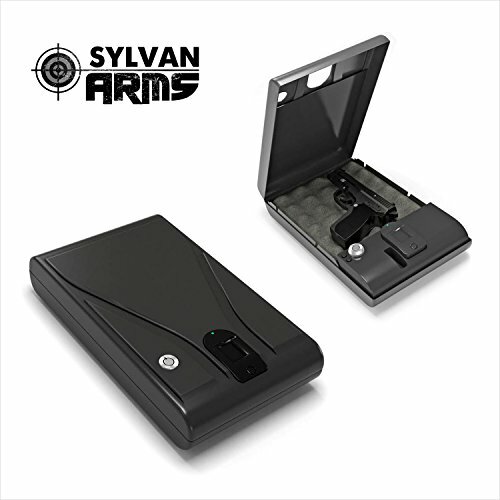 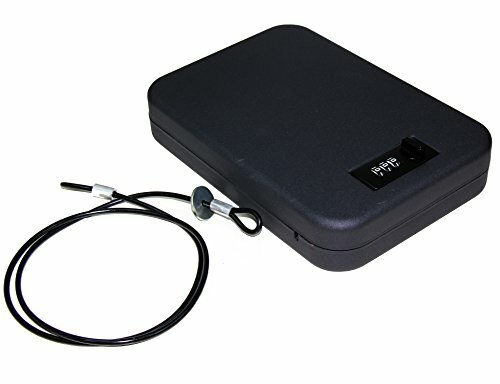 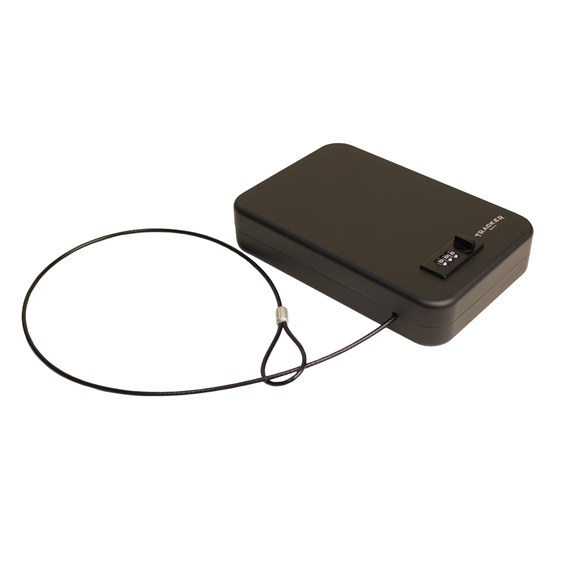 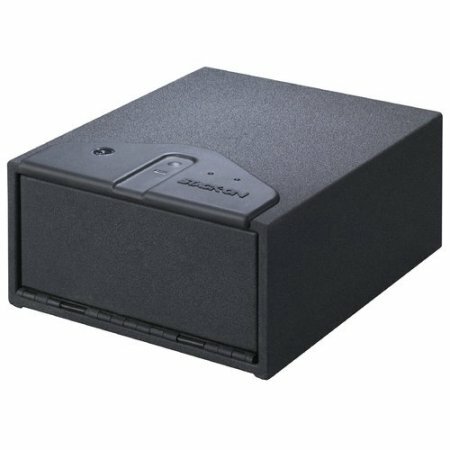 Store and secure your most valuable of items with the Sylvan Arms Portable Locking Safe with Biometric Lock. 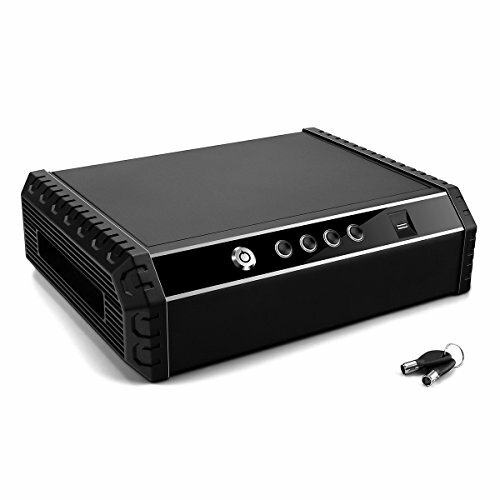 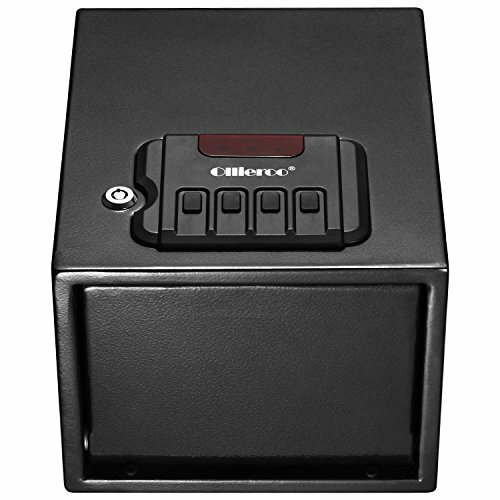 Our new biometric gun safe is perfect for storing firearms, jewelry, cash and other valuables at home, in your car or your RV. 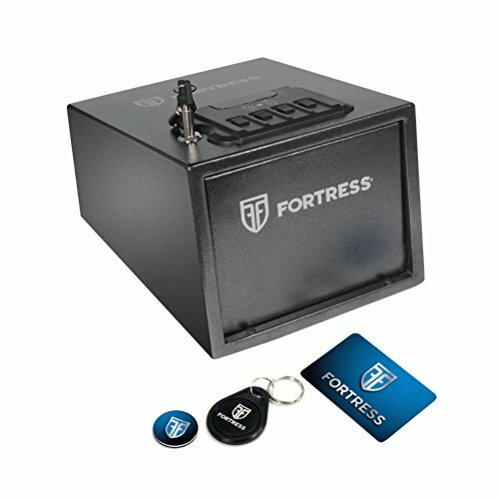 No more lost or stolen keys, and no forgotten passcodes.